Please honor Andrea Lee's 14 year tenure as MUA's Co-Director and the selection of Juana Flores as MUA's new Executive Director by contributing to our Solidarity Legacy Fund. At this moment of unprecedented attacks against immigrant families, having an immigrant woman from our base as our Executive Director and most visible leader sends a powerful message, a signal that immigrant women will not back down. Juanita can't do this alone -- none of us can. She needs all of us who are allies to step up and support her to take this on. We've set up the Solidarity Legacy Fund as a signal of our commitment to this next phase of MUA. The funds will go towards strengthening our internal capacity -- hiring more staff, improving our communications, updating our technology. But more than that it's an investment in ensuring that the immigrant leaders of MUA can continue to show up on the streets and in the halls of the Capitol to share their stories, speak their truth, and offer a vision of society in which immigrant women are valued and respected. Please consider donating $5, $15, $25, $35, $50, $100 or more for each year Andrea worked at MUA and help us reach our goal of raising $70,000 or $5,000 for each year. These funds will make it possible for Juanita and MUA's new leadership team to focus on growing their skills this year - rather than fundraising to sustain our work. 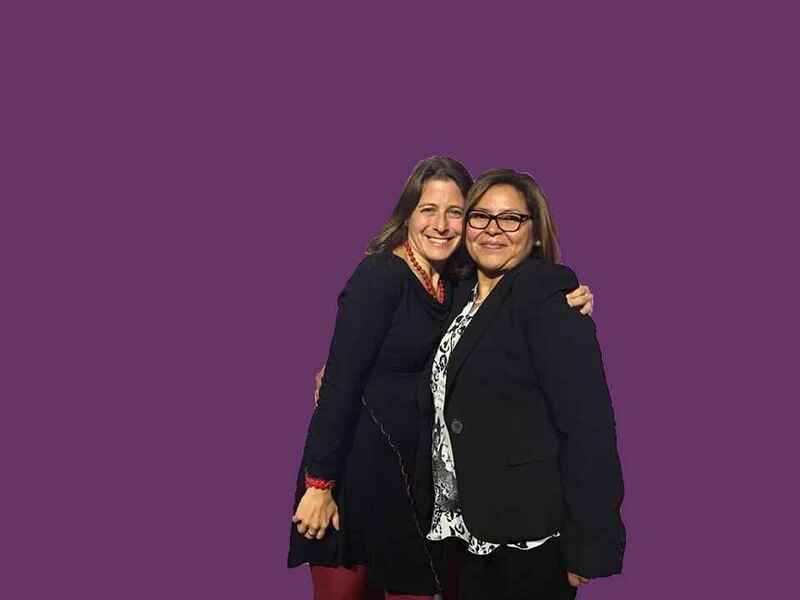 Congrats to two amazing mujeres! Gracias Andrea por todo lo que haz hecho por las 'mujeres' y felicitaciones Juanita! Felicidades queridas Juanita, Andrea y MUA. Gracias por su inmenso liderazgo y visión! Thank you Andrea for your movement passion. I hope our paths continue to cross. To celebrate Andrea's 14 years AND to cheer on Juanita and all MUA members! Con gratitud por 14 años de inspiración, comunidad y transformación. Llevaré todo lo que me enseñaron en mi corazón. MUA has always provided inspiring, creative and principled leadership across so many social justice worlds. I stand behind you!!! En honor a dos mujeres que admiro mucho!! Gracias por todo su trabajo de amor! Honoring Andrea, Juana, and all the powerful MUA leaders! Sending love from Erika and Reuben! Keep loving us whole MUA, and fighting for us to be free. Thank you Andrea.